What is Super Nitro Whey? Super Nitro Whey by Victory is a protein formula that will improve the recovery and contribute to the muscle growth processes. It is made up by Whey Protein Concentrate and Isolate with an excellent aminogram. Weightlifting breaks down the muscle fibers (catabolism), which is necessary to be able to regenerate them and enhance the growth of new ones (anabolism). In this sense, protein plays an essential role, since it will be in charge of supplying the amino acid chain to perform said restoration and growth tasks. The supply from the diet is usually not enough, that is why taking high quality shakes can help us achieve our objective. In addition, it will be specially useful if we follow a cutting phase diet, because we will drastically reduce the amount of calories but keep the protein supply high. This will help us deal with the catabolism caused by the caloric deficit thanks to the protein. 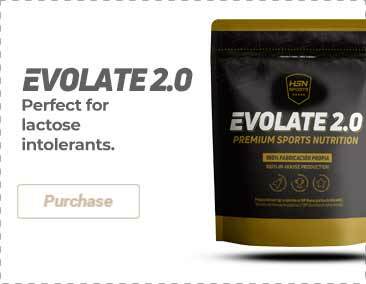 Glutamine, which is an amino acid that helps to stimulate the anabolic environment that will improve the growth, apart from shortening the recovery processes. BCAA's, essential amino acids which are mainly broken down by physical stress. Taking them can be key in order to enhance the anabolism. Vitamin B6 belongs to the group B vitamins and it is in charge of signalling metabolic processes to obtain energy. Who can benefit from Super Nitro Whey? Mix 1 scoop (30g) in 300ml of skimmed milk (1.5% of fat) or water.